In 2014, VMI introduced the Northstar E conversions on both the Dodge and Toyota minivans. The “E” stands for economical and easy to use as the in-floor ramp is manual. 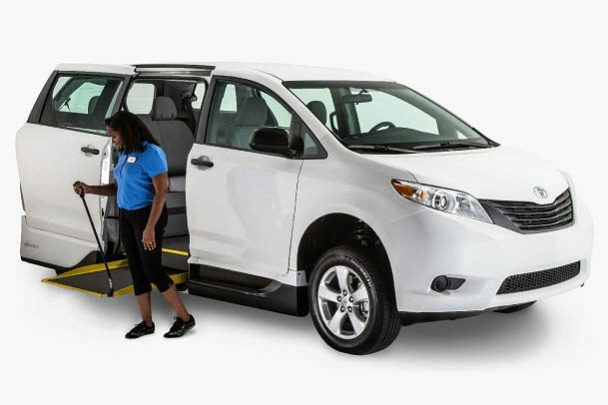 This wheelchair van is perfect for caregivers or for wheelchair users who don’t drive. Are you a caregiver for someone who uses a wheelchair and need an easy and economical solution? The Northstar E in-floor ramp slides easily under the van’s floor with the use of a wand that is so effortless, limited strength is needed. The power kneel feature is removed and the front seat is removeable for seating options for the wheelchair user. The spacious VMI Northstar 360 conversion has been transformed into the E360. This vehicle is for those looking for all the features of the Northstar360 without the powered features. With a sturdy 800 lb. and 30” wide ramp, this accessible van can support large powerchairs in multiple positions. The ramp slides easily in and out of the vehicle with the use of a wand. 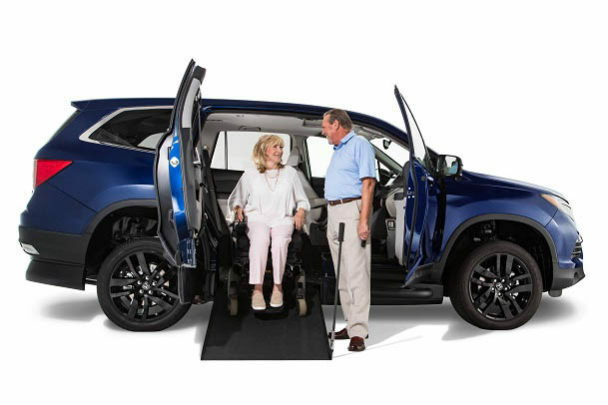 Launched in February of 2018, the VMI Honda Pilot wheelchair SUV offers a manual in-floor ramp along with a removable front passenger seat which makes this the ultimate caregiver SUV. 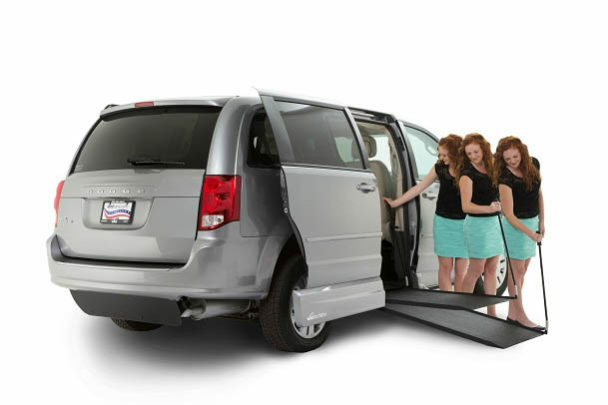 You’ll find lots of wheelchair maneuverability and room for the family. The in-floor ramp is easily stowed out of the way, a removable front passenger seat for greater seating flexibility, and plenty of usable storage. The Access360® is a new standard for accessibility and wheelchair maneuverability because it provides more of what you want and need.